This cheeky French sprite is made for city driving! 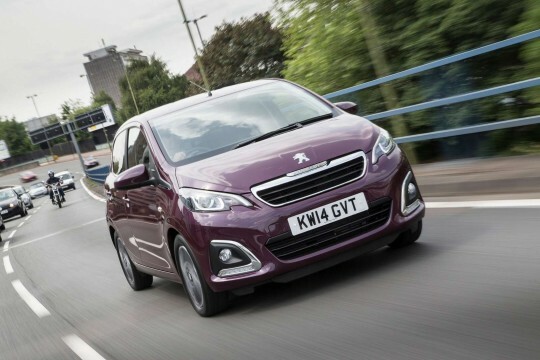 The Peugeot 108 is only 3.47 metres long with a trim turning circle, weighs as little as 840 kgs, is highly manoeuvrable around town and is also wonderfully stylish and economical. In total French automakers Peugeot offer 9 combinations to choose from ranging from the truly accessible Access 3 door through to the 109 Top! Collection option. Obviously in a car that starts at well under £10k brand new, standard features in the Access are more limited but you still get electric front windows, remote locking, power assisted steering, ABS and, crucially, 6 x airbags. For not a lot more money though you get to add loads of features as you move up the 9 options from a colour reversing camera to lane departure warning, active city brake (which reduces accidents and accident severity) a colour 7” touchscreen, alloys and serious smartphone interfaces, the list goes on. The 1.0 litre petrol engine takes pixie-like sips of fuel designed to gets up to 69 miles to the gallon and with emissions starting at 93 g/km CO2 the 108 can hold her head high when it comes to her green credentials. 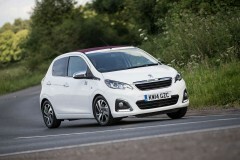 With so many Peugeot 108 options to choose from you may be wondering where to start. Our dedicated account managers are here to help. Simply phone us on 01254 956 666 or email info@hippoleasing.co.uk for impartial advice as well as a wide selection of nearly new and used vehicles and nationwide delivery with our cracking lease deals.